The One 01 Turning Disc is a stylish watch with an abundance of charm. With a XL rectangular polished stainless steel case measuring 51mm x 36mm x 9mm the timepiece displays generous proportions. What makes this watch so striking is the stunning grey digital dial. 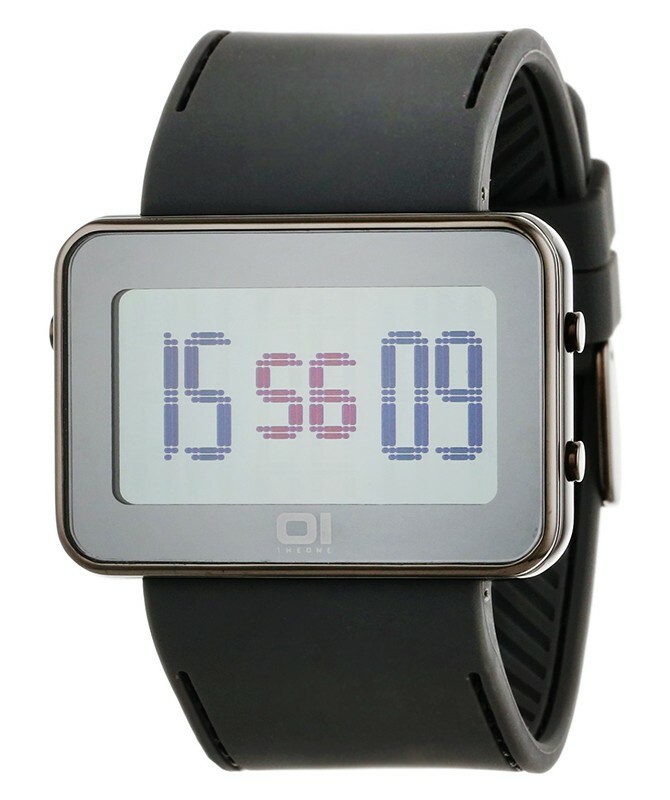 Other features include two pushers, mineral glass and a black PU/strap.